All you find are yours to keep. 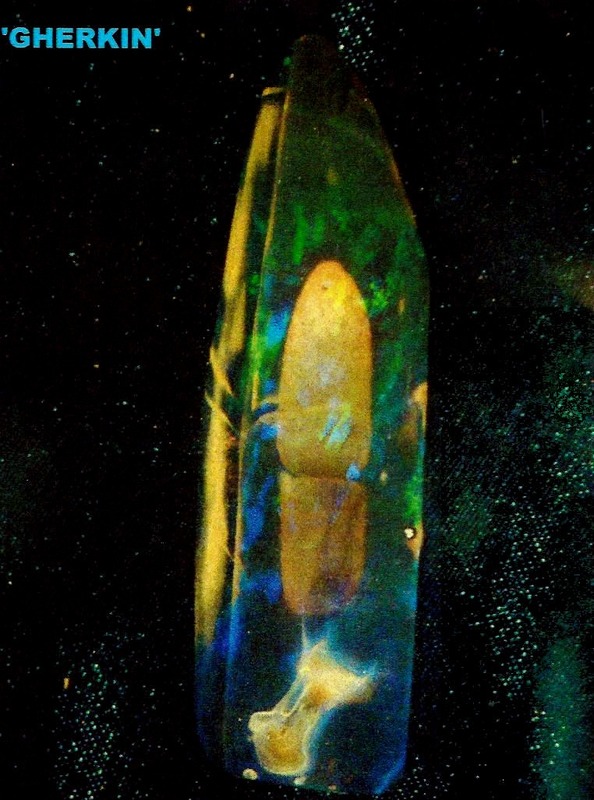 The Royal Peacock Opal Mine has yielded such treasures as Freda's Log (pictured above), "the Shoe", and the 130-pound Gingko Log, one of the largest opals ever found, anywhere in the world. 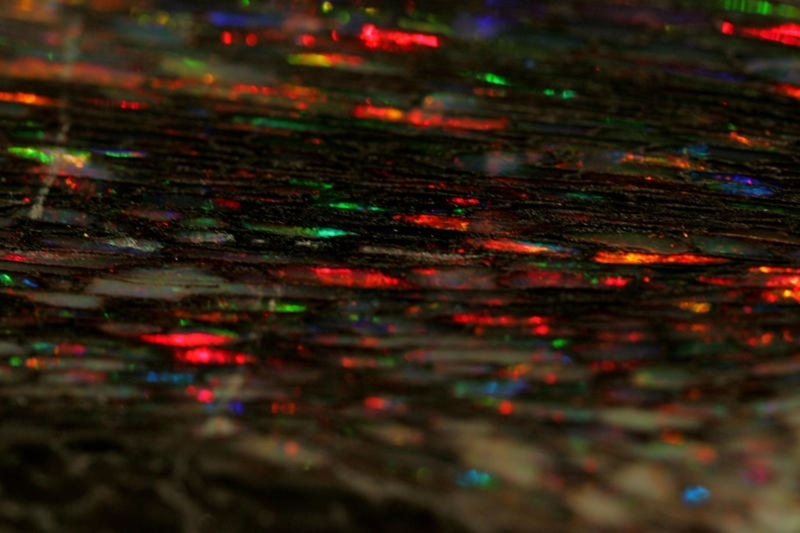 Mother Nature took fourteen million years to make a Virgin Valley black opal. It was well worth the wait. 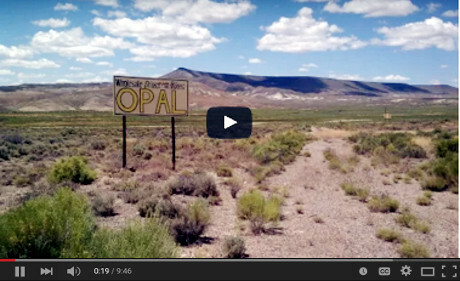 The Royal Peacock Opal Mine is located off Hwy 140 in Virgin Valley, approximately 35 miles from Denio, Nevada. 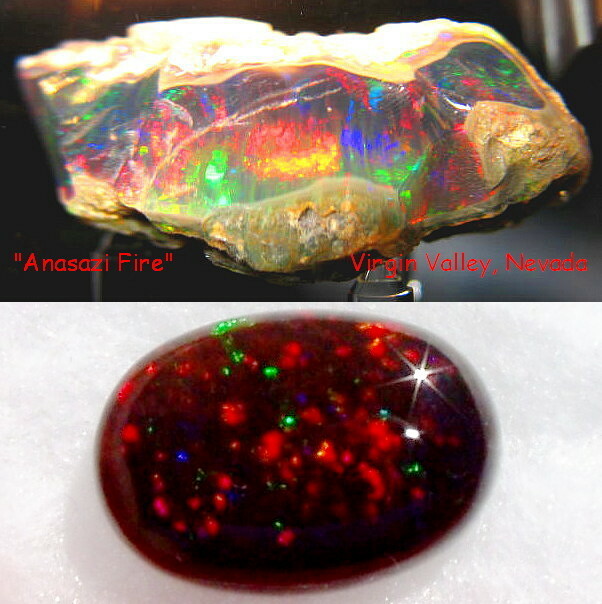 Rough and polished opals, opal jewelry, opal display domes, tool sales and rental, firewood, sunscreen, hats, T-shirts, cool drinks, ice, and more. Click to read the history of the Wilson family. 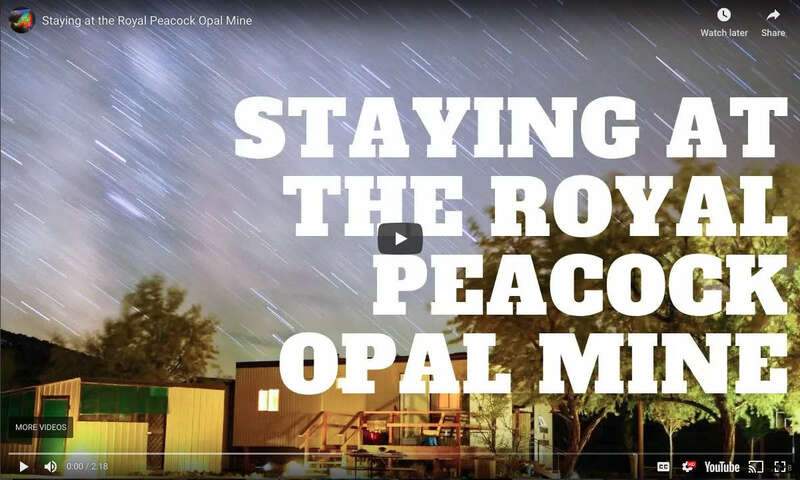 Since 1981, the Royal Peacock Opal Mine has been open to the public as a pay-to-dig mine. 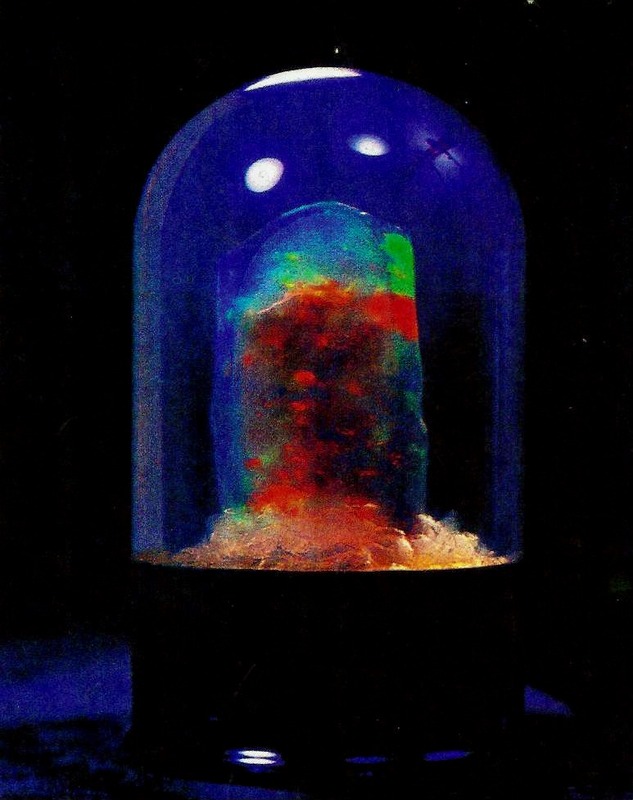 It has yielded countless world-class precious opal specimens during that time. We have an 18-spot RV Park, dry-camping spots, and several furnished lodging options. The mine is surrounded by wildlife and beautiful outdoor attractions. 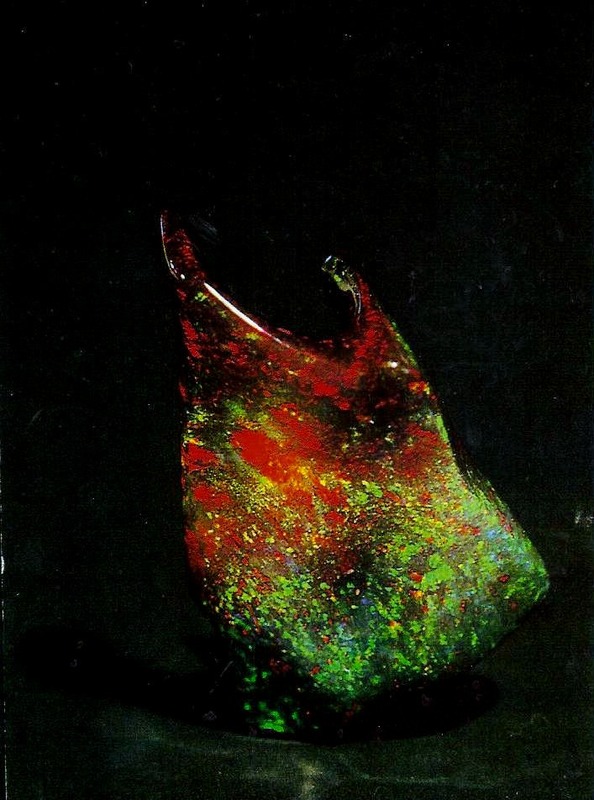 Our Gift Shop offers opals and opal jewelry, plus tools and basic essentials. 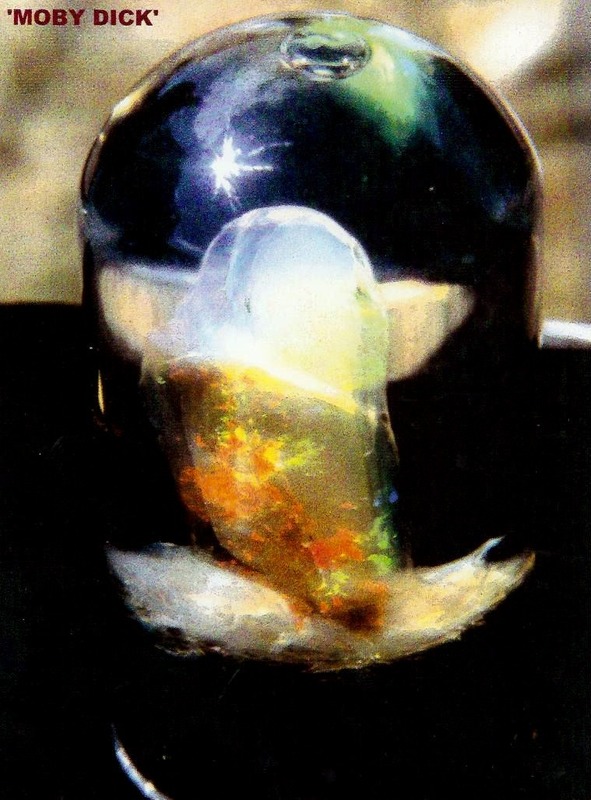 Precious opal is in the crystal family, but has a dazzling display of color. 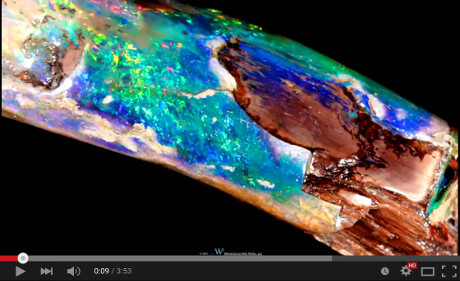 Ever wondered what it's like, hunting for opal? In 15 minutes, Jake Anderson of the Royal Peacock Mine describes it all, from raking the tailings to following the glass trail in the banks. 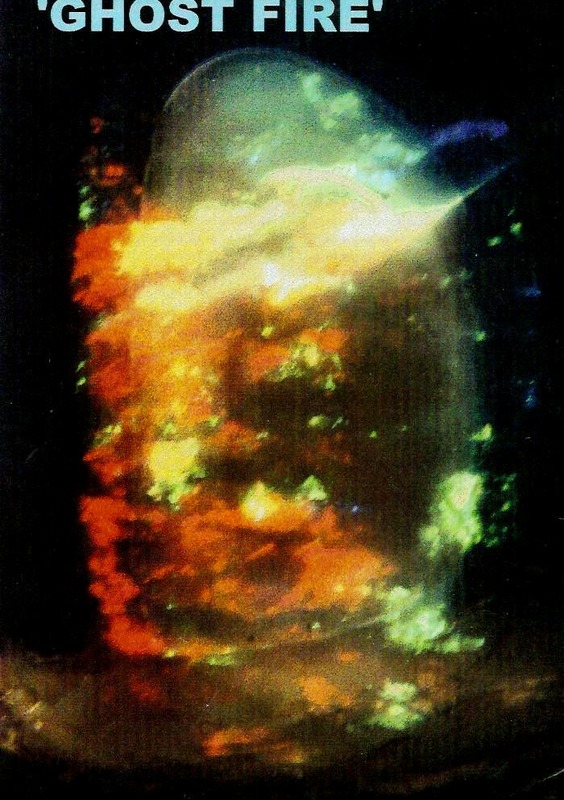 The Wilsons have owned and operated the Royal Peacock Opal Mine ever since 1944. At present, Jake supervises the diggings, Julie runs the Gift Shop, and Harry oversaw operations until his passing in 2016. June 1 Dinner -- CLICK TO REGISTER! ALL GUESTS must check in at the Gift Shop. It is open daily from 7:30AM to 4:30PM. This fun feature by KTVN Channel 2 photographer Jeff Foss hits all the right notes. 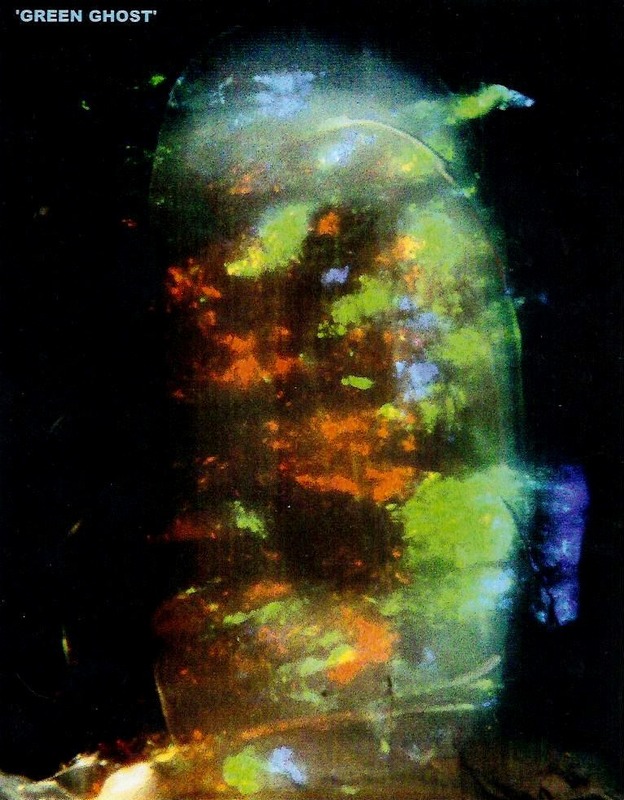 A close-up look at one of the most beautiful opals ever produced by the Royal Peacock. 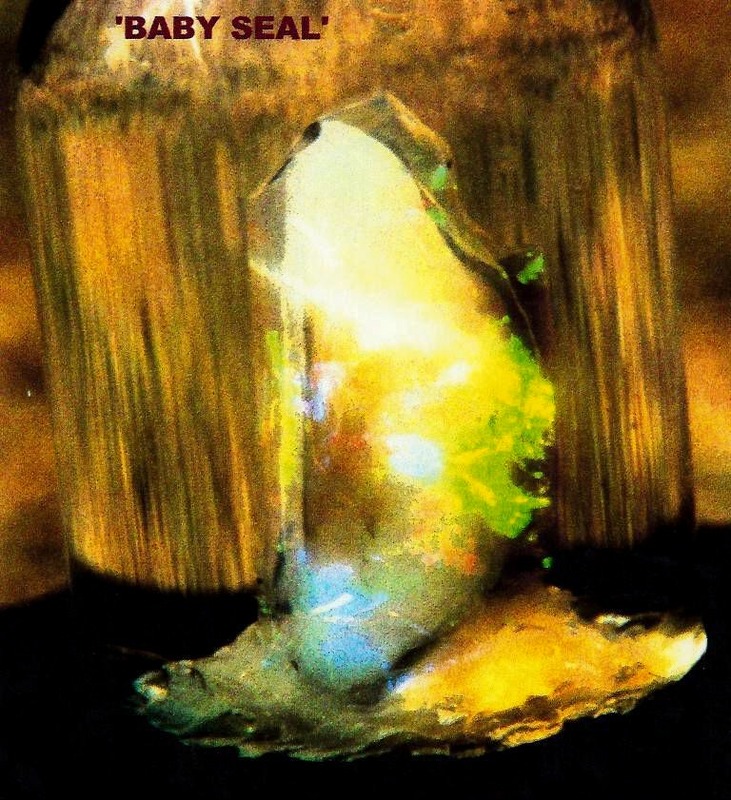 This Travel Channel feature from the 1990s introduces the Royal Peacock Opal Mine. The great part was witnessing the couple next to us finding a very nice specimen quoted as being worth well over $5,000, maybe up to $15000. Very very beautiful. 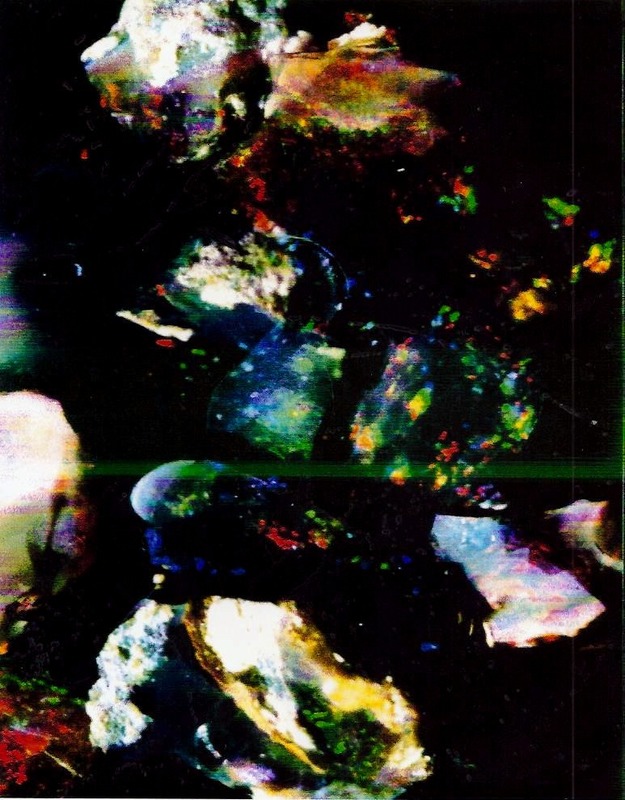 It was our good fortune to find several opals, one weighing in at 96 grams. I can't wait to return and do it all over again. Everyone was so nice there at the mine. We found a bunch of opals... We are very happy and will definitely return. Open in-season 8AM to 4PM. Furnished cabin or trailer -- $85/night single, $10 each add'l person . Trailer sleeps 2, Cabin 3. Reservations required. Full R.V. hookups -- 30 AMP $40/day. 50 AMP $45/night. 17 spaces. Reservations suggested. Campers and tents -- $10/person/night. Laundry and showers available. Copyright © 2007 - 2019 Julie Wilson.